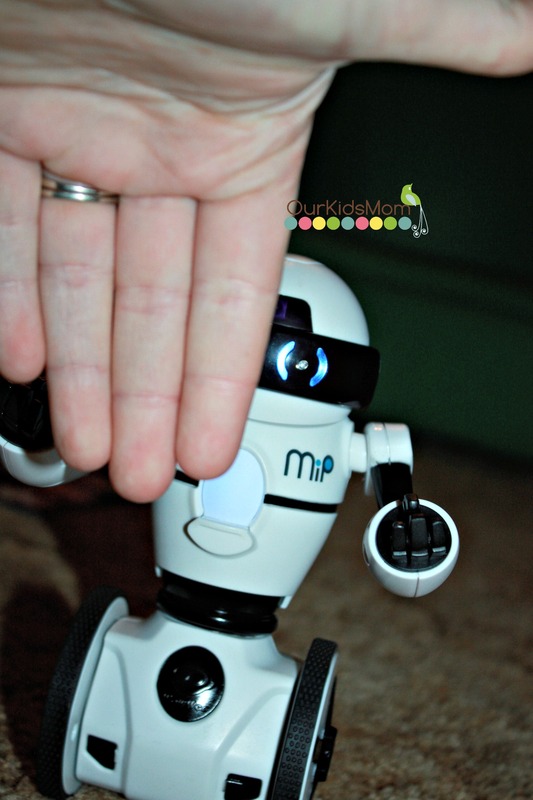 Meet a cool new balancing robot named MiP from WowWee toys. He’s the newest member to our family. 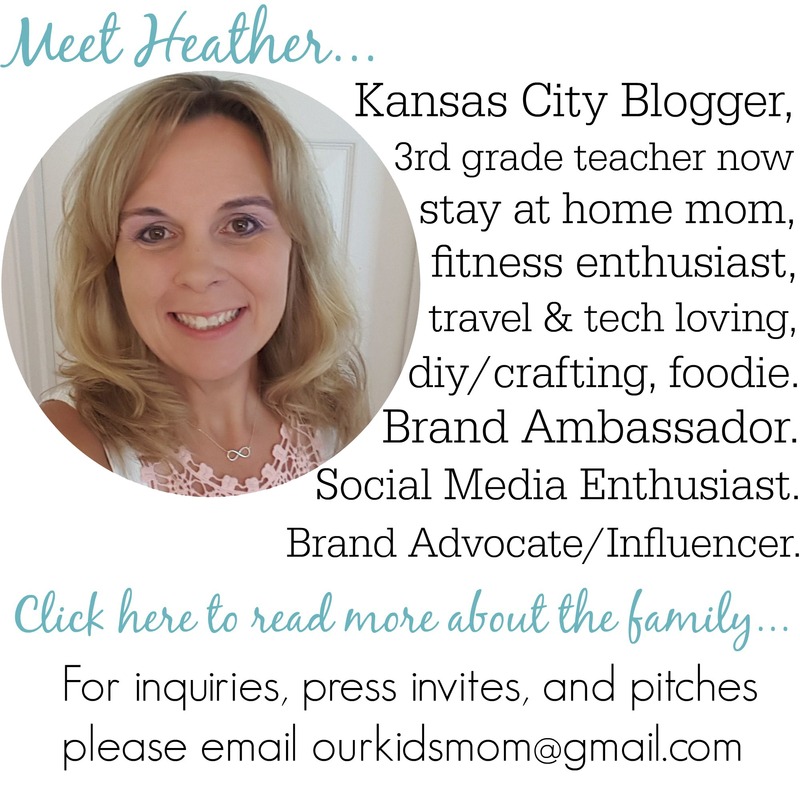 MiP is fun for all ages, from my 6 year old son to my 30 year old husband. MiP has brought hours of entertainment to both of them. 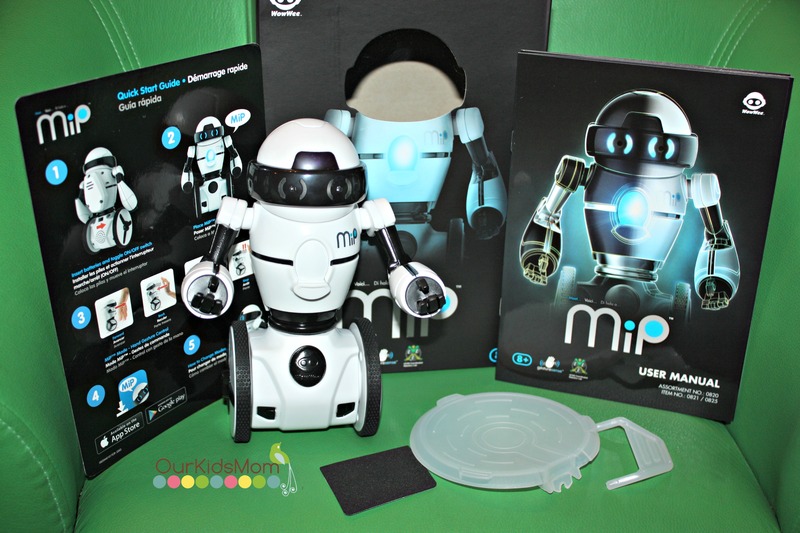 MiP comes in either black or white and he is a smaller sized robot that is packed with BIG entertainment. MiP out of the box comes with a stand for storing, a tray for balancing objects, grip stickers for your tray, and your owners manual. 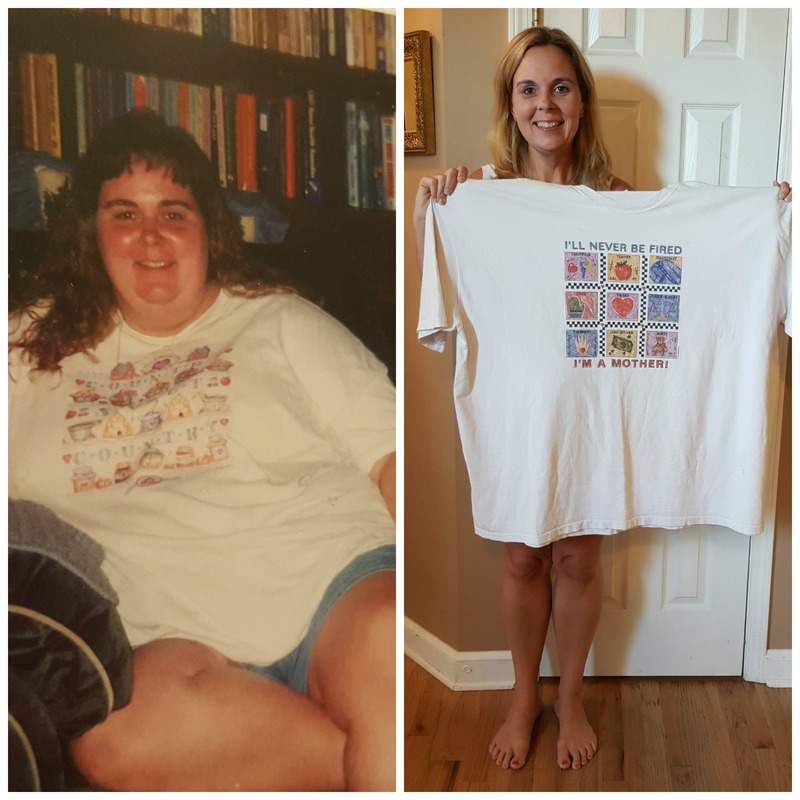 My husband and I played with MiP first. It did take a bit to get him figured out, but once you begin to get the hang of how he works… that’s when the real fun begins. 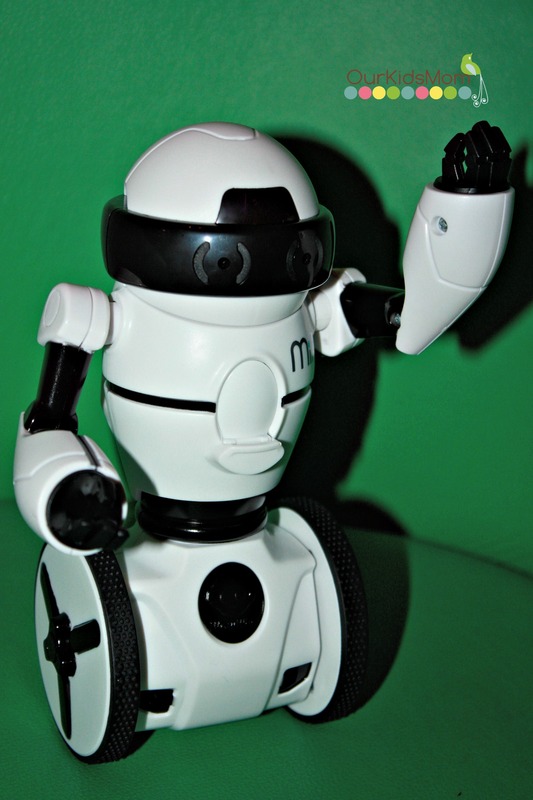 Taking a look at MiP he looks pretty futuristic standing about 8″ tall. He has a rounded head and emotion eyes. His body is where you find his mode light and two posable arms. His arms really aren’t used for anything other then posing them. Moving down you will notice there are no legs. 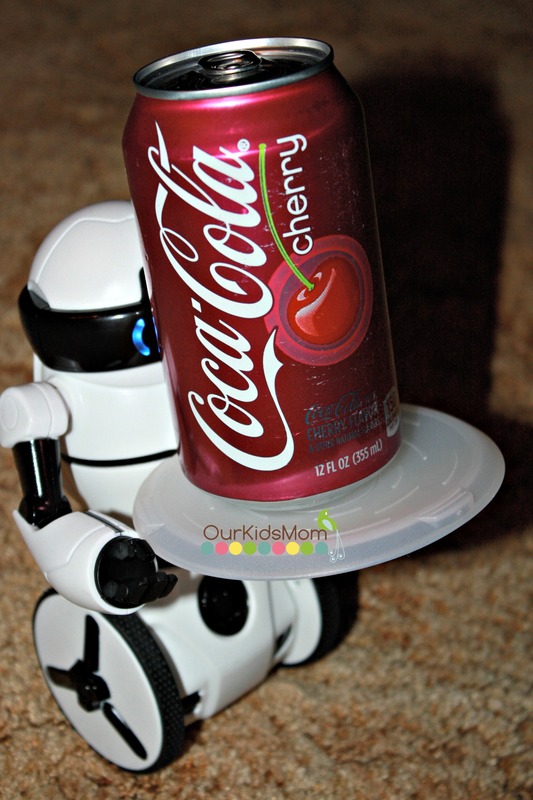 You will instead find 2 big wheels that MiP ever so impressively uses to balance. 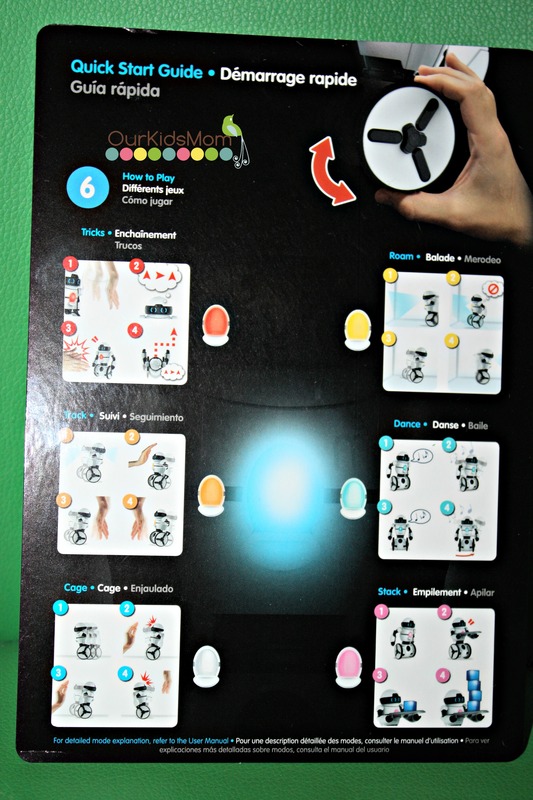 MiP has 7 built in play modes that are accessed by turning his wheel. Each mode is represented by a color that is indicated on MiP’s chest. -Dark Blue is MiP mode: In this mode you can use your hand motions to tell MiP where you would like him to go, MiP will follow your commands. – Orange is Tracking mode: Here you play with it… something like follow the leader, where MiP will precisely track your hands, legs or whatever object you choose. – Light Blue is Dance mode: Sit back and watch MiP dance, or join in and have a dance party with MiP. – Yellow is Roam mode: MiP is set free to explore his surroundings, watch as he detects objects and responds to avoid them. – Red is Tricks: You can give MiP up to 50 commands, swipe your hand side to side and MiP will remember your commands. Clap twice and MiP will play it back. – White is Cage mode, here MiP is trapped in a virtual cage, and you are to stop MiP from escaping by placing your hand in from of him to stop his exit. – Pink is Stack mode: Race the time to stack as many objects onto MiP’s tray as he balances before the time runs out. Online you can download a free MiP app that allows you to control MiP using thumb joysticks. 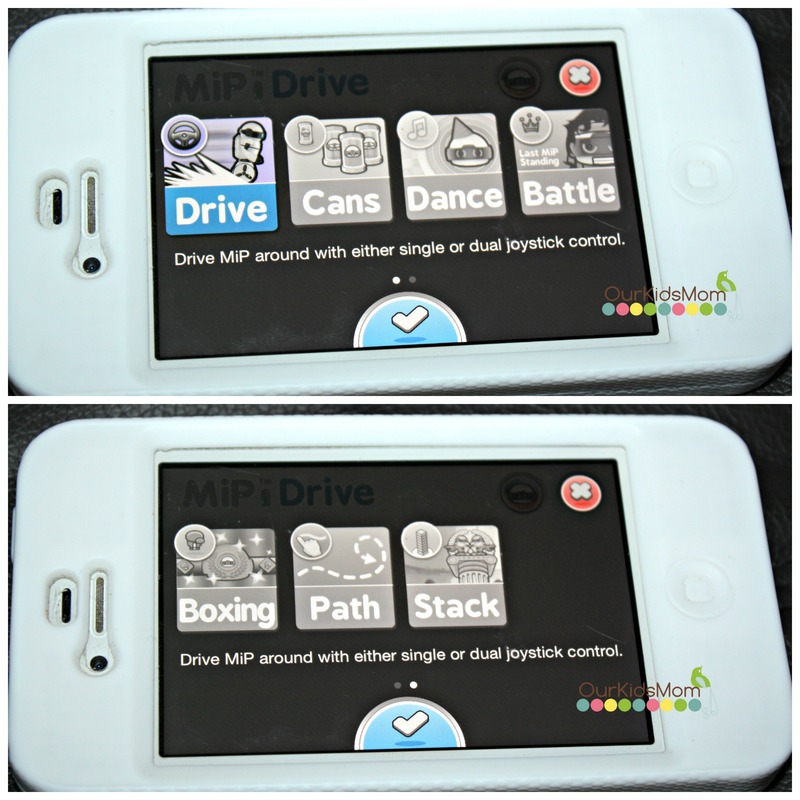 On the app you can play even more games, including battling and boxing other MiPs. 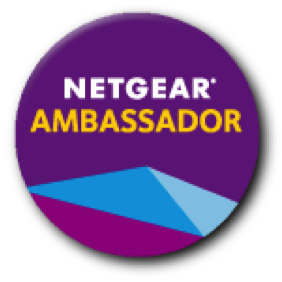 The app is compatible with iOS or Android smart phones. 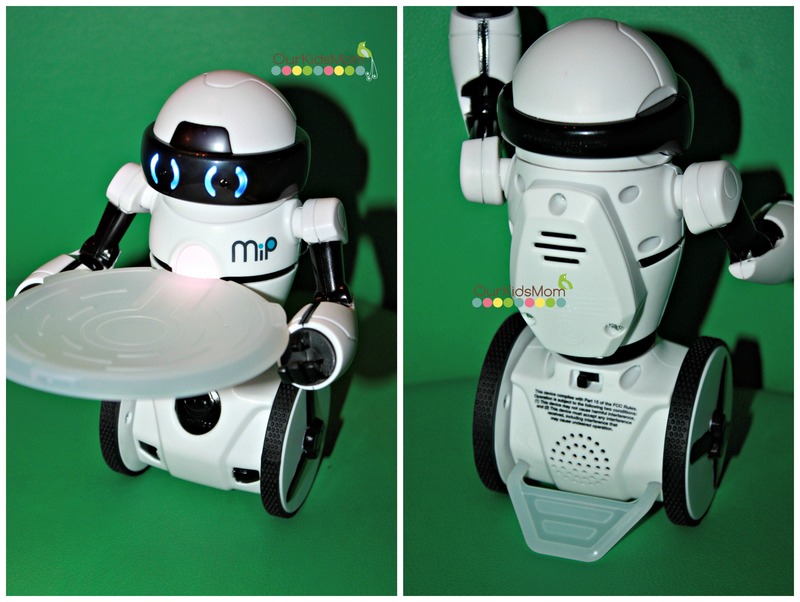 MiP has a great personality and lots of activities to offer your kids at any time of the day. 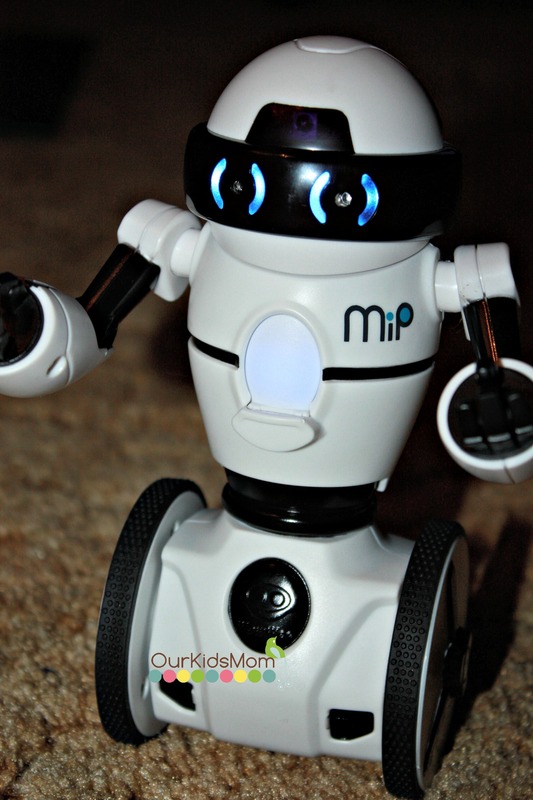 Your child will be entertained for hours exploring with MiP. Head over to www.wowwee.com and let the adventures begin.